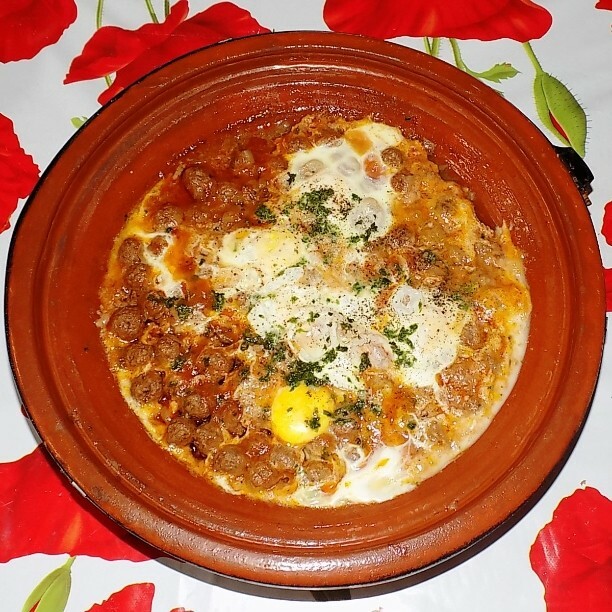 Mkaouara is a popular Moroccan Kefta Tagine with cherry-sized meatballs and eggs. Tomatoes are not supposed to be added to this sauce. It’s just pure gravy from the juicy meatballs. Comfort food at its best. For a faster version, you can form the meatballs a bit larger. Substitute broccoli with zucchini, pumpkin, green beans, turnips, or a fresh salad. Substitute beef with veal or pork. 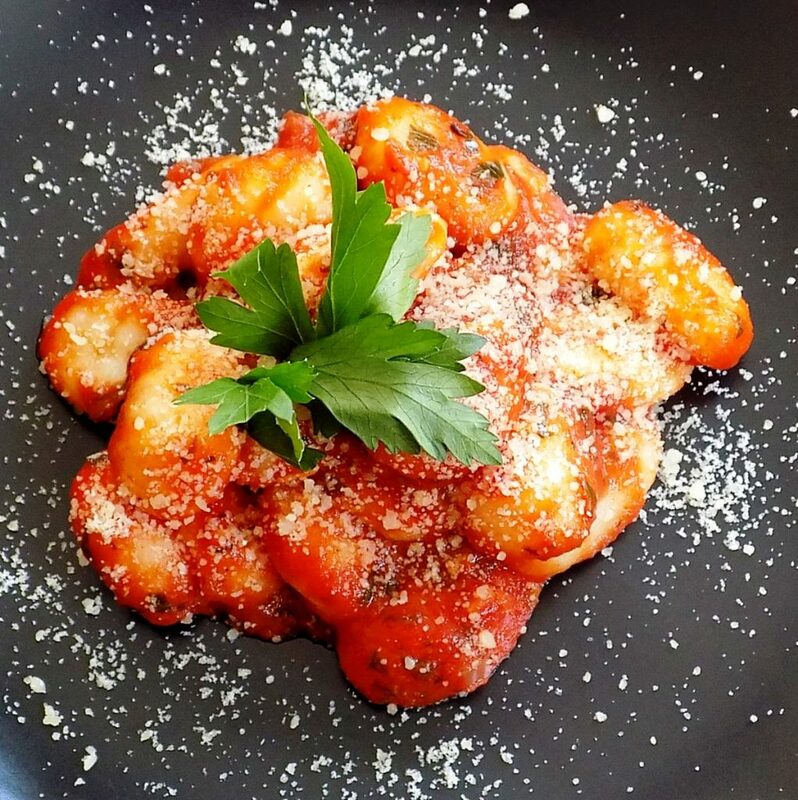 For a change and quick dinner fix, add the Mkaouara spice blend to a tomato sauce for gnocchi. In a LARGE BOWL, mix herbs and shallot, Mkaouara Spices , salt (1 tsp recommended) and Mkaouara Spices  to taste. Add meat and knead well. In a PAN, melt 1 tbsp butter. Distribute meatballs in one layer (see notes). Cover the PAN with a lid and cook over medium-low heat for 10 minutes. In a POT, bring salted water to boil. Add broccoli. Cook over medium heat for 5-8 minutes until the florets are done but not falling apart. In a SMALL BOWL, crack the eggs. 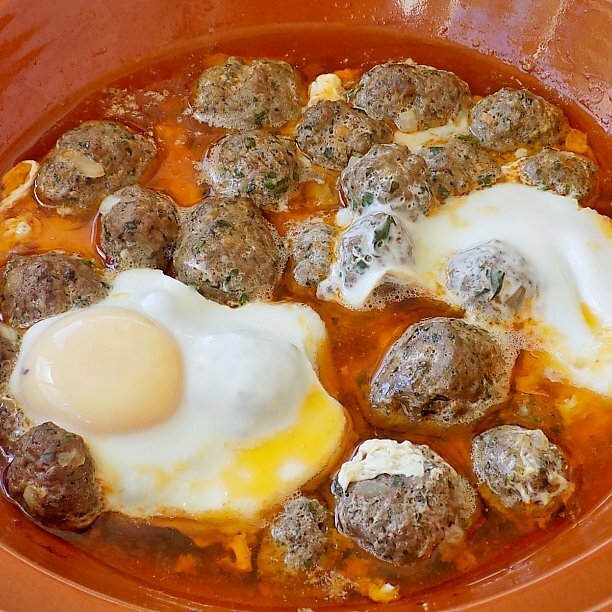 Gently slide the eggs one by one on top of the meatballs, each in a different corner. Add salt to taste. Cover the PAN and cook until the egg white is cooked. Serve Mkaouara on a large plate and sprinkle with herbs. Add bread and broccoli on separate plates. If your pan is not large enough, cook the meatballs in two batches. The taste turns out better.